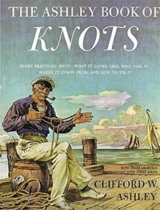 The Ashley Book of Knots by Clifford W. Ashley was published in 1944 by Doubleday (New York). It is a stunning compilation of knots and their uses. Nothing comparable has been published since and it remains the authoritative source. For example, a reference to ABOK #526, uniquely relates to his “Oysterman’s Stopper Knot”. Despite changes and inventiveness in the last sixty years, few knots have appeared that were not described by Ashley. In view of this, where possible, his reference system is used. Between 1902 and 1926 Henry Bush Grant Bushby created “Notes on Knots” – seven manuscript volumes plus an index volume. These are now available on-line thanks to the Mariner’s Museum. The volumes were donated to the museum by Bushby’s daughter, Dorothy. With the possible exception of Supplementary Notes (volume 7), Bushby’s work antedated Ashley’s by over forty years. His manual corrections are clearly visible and his drawings are excellent. 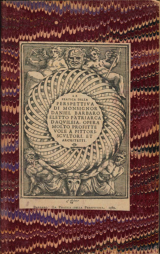 For the historian, Bushby’s collection is an amazing resource. However, as a practical reference resource, Ashley will remain supreme.